GENEVA, Oh. — After competing for two days at the YSU Mid-Major Championship last weekend, the Robert Morris track and field team heads to the Spire Institute in Geneva, Ohio for the Spire Division I Indoor Classic. At last week’s YSU Mid-Major Championship, the Colonials had 18 top-ten finishers, including three top-threes. The Colonials were led by Zoe Roush, who won the long jump with a leap of 5.51m (18′ 1″). This is seventh in Colonials history, and Roush’s first collegiate win. Also in the long jump, Tara Goldman finished eighth with a jump of 5.19m (17′ 0.5″). 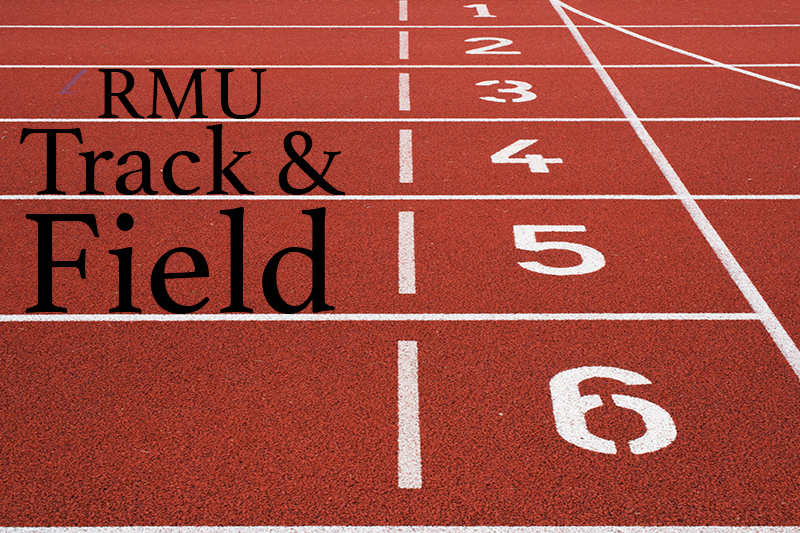 Also in the top three were Estelle Kantende, who placed second in the shot put with a toss of 14.08m (46′ 2.25″) which is also 7th in RMU history, and Sam Buck, whose weight throw of 15.99m (52′ 5.5″) was good enough for third place. In the 500 meter run, all three Colonials that ran placed top ten. Anna Chasovskaia finished fourth with a 78.68, Brooke Oldfin set a personal best, and finished sixth with a 1:20.39 and Anna Radisavljevic’s personal best of 1:22.04 was good enough for tenth place. Both runners in the 400 meter for the Colonials were also top 10. Anna Chasovskaia finished fifth with a 59.17 and Brooke Oldfin finished tenth with a 60.28. Samantha Felton’s time of 2:18.38 in the 800 meter was not only a personal record for her, but it was also the 6th fastest time in RMU history. Lilly Harnish, Nina Radisavljevic, Ivanna Jones and Zoe Roush all were top 10 in the triple jump. Harnish finished fourth with a jump of 11.44m (37′ 6.25″), Radisavljevic finished sixth with a jump of Nina Radisavljevic, 11.07m (36′ 3.75″), Ivanna Jones set a personal best and finished ninth with a 10.97m (35′ 11.75″) and Zoe Roush set a personal best and finished tenth with a leap of 10.57m (34′ 8.25″). In the weight throw as well, Estelle Kantende had her second top 10 finish of the tournament, finishing tenth with a toss of 12.96m (42′ 6.25″). On the high jump pad, Tara Goldman tied for eighth with a jump of 1.51m (4′ 11.5″). Finally for the top ten Colonial finishers, Kaitlyn Hawkins finished seventh in the pole vault, with a vault of 3.41m (11′ 2.25″).